This popular self-inking stamp is ideal for short customized text up to 4 lines, or just one or two lines in bold with your important message. The maximum size of the impression is 3/4" x 1-7/8" - (47 x 18 mm), which offers enough space for your address or contact information. This small, versatile stamp is commonly used at home or on the move, but also widely liked for office applications. Suitable replacement pads 6/4912 are available in black, blue, red, green or violet. Replacement pads are supplied in multiple packs of three. 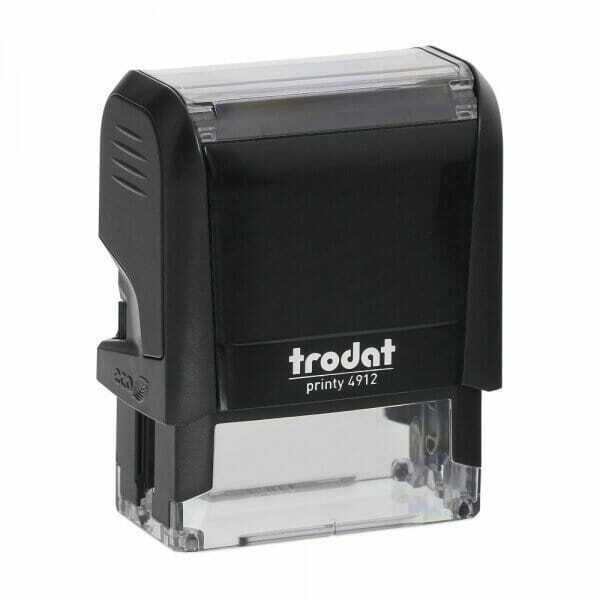 Customer evaluation for "Trodat Printy 4912 3/4" x 1-7/8" - 4 lines"